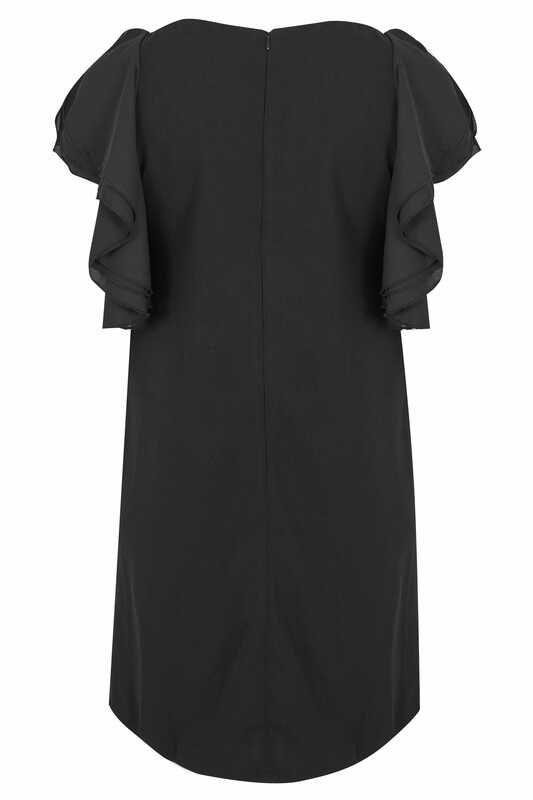 Oozing elegance and sophistication, this black shift dress is your one way ticket to instant style. Ideal for nights out and special occasions, team with a pair of heeled ankle boots to create maximum impact with minimum effort. 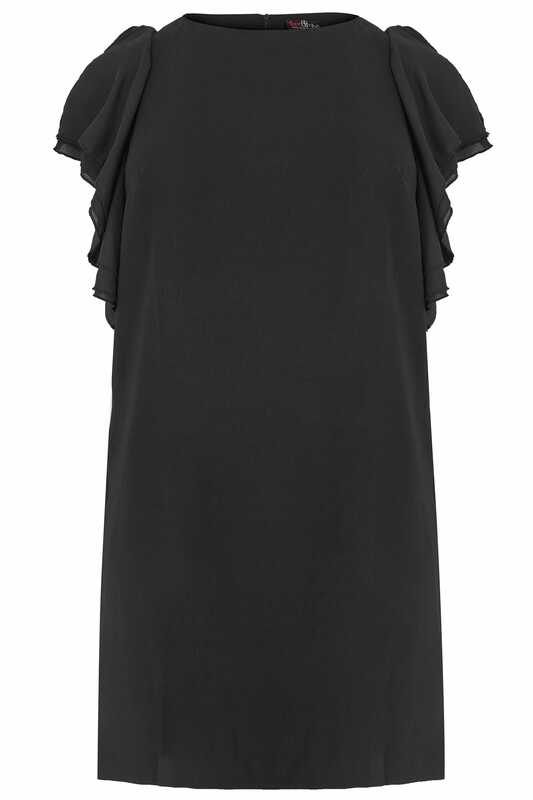 The ruffle sleeves give it that extra touch of glam.